Benton County Joins the Family of Doxpop Recorders. Welcome! This week, Doxpop is welcoming Jane Turner and her staff to the growing family of Recorders who make their documents available through Doxpop. Benton County is our new record-holder for the most complete on-line index! Jane and her staff have complete indexes and images for all documents available through August 1970, providing the ability to look back 45 years. In addition, deed records are available as far back as 1944. That's an impressive achievement that few other Recorder's offices can match. Document searching and image preview are available at no cost to low-volume users. Commercial users may subscribe to obtain higher search volumes. A copy fee is charged for full-sized reproductions of the documents. In addition, The Recorder's Office now offers a free property watch service to the Benton County Community. Any person may sign up at http://watch.doxpop.com to set a watch on his or her property and name. Participants are notified via email immediately if a document is filed that references the watched property or name. Benton County is the 39th County Recorder's office to partner with Doxpop for public access. In addition to Recorded Documents, Doxpop also provides public access to Court Case Information in Benton County and 87 other counties. 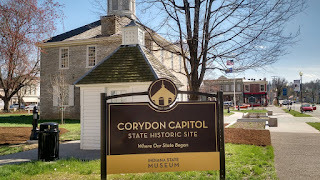 Enjoying a bit of history in Corydon while preparing for the future. Yesterday, Paula and Nick from Doxpop ventured South to Corydon to speak to local attorneys and their staff about e-filing. Of course, we couldn't leave Corydon without walking over to the old Capitol, which is on the South lawn outside the current courthouse. We interrupted Denzil McKim, who was painting and cleaning in preparation for the bicentennial. He was kind enough to pause in his work to let us look around and answer questions. 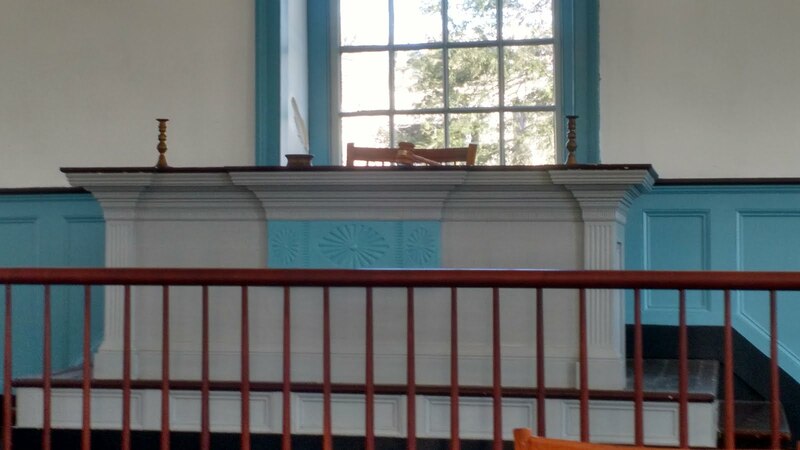 If we were looking from this angle two hundred years ago, the view would be obscured by the "Consitutional Elm". 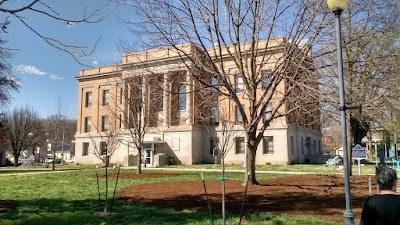 Legend has it that during the hot days of summer, the representatives would move their debates outside to enjoy the shade of this tree. 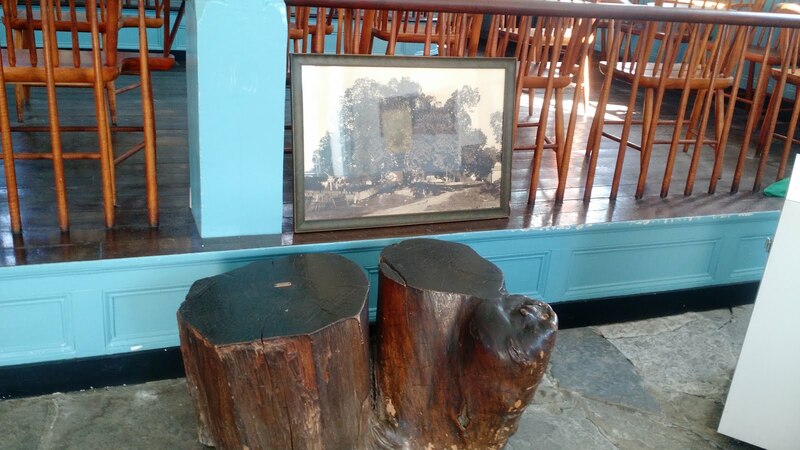 A little piece of the tree still exists and sits under its picture inside. 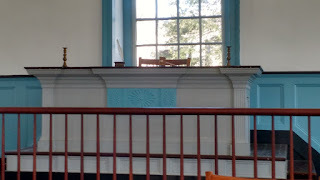 The desks that the Representatives and Senators used are reminiscent of old school desks, with room to write and keep notes. 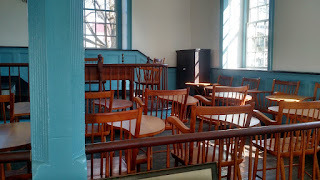 Denzil added the interesting fact that until 1952, Indiana schools taught everyone to write with their right hand, so in a mild form of intolerance, there are no left-handed desks in this building. 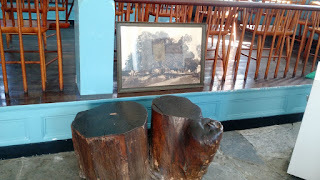 Presumably, this is where the Grand Poobah sat. The governor's office was in his house, so this would be for the leader of the House or Senate. 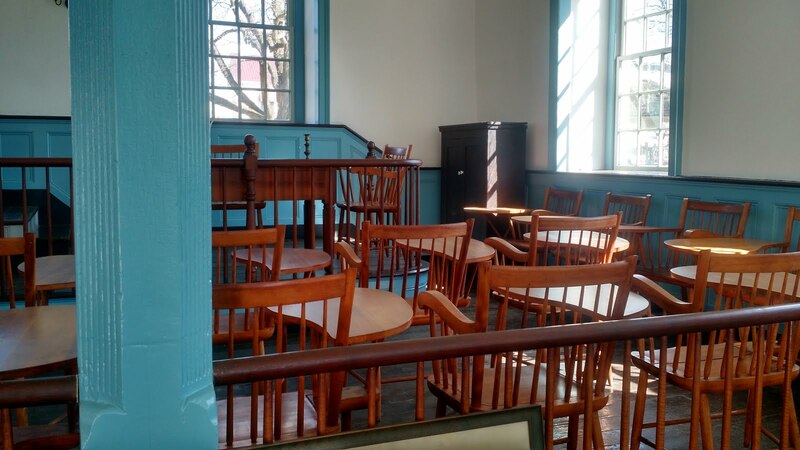 In 1816, there were 29 Representatives, 10 Senators, and 3 Justices that used this building for their meetings. 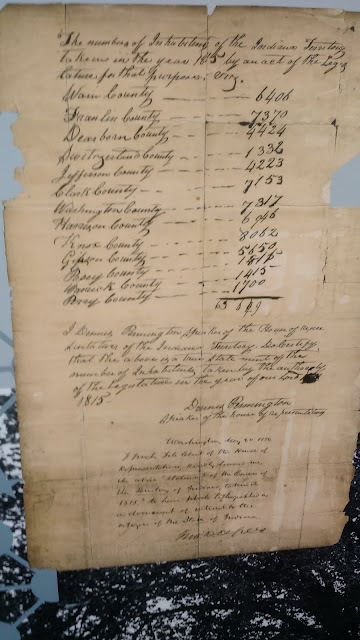 In the early 1800's, you had to have at least 60,000 people to join the club, so it was this 1815 census that allowed Indiana to make the move from a Territory to a State. If you squint closely at the top entry, it says "Wain" County contributed 6,406 souls to that count. Doxpop is located in Wayne County, and we currently account for 14 of the people there. If you look closely, you'll see that at first, the addition was done wrong and because it was in ink, Dennis Pennington's error is preserved for posterity. Dennis Pennington was a leader in early Indiana politics, notable among other things for the strong anti-slavery stance he took during the drafting of the constitution. 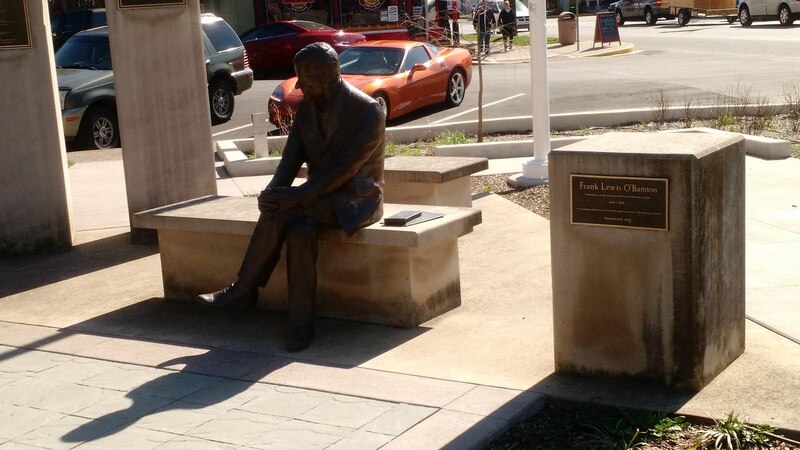 Back in the modern world, we found this monument to former governor Frank O'Bannon on the Southwest corner of the block. From this statue, you can still see the newspaper his family owns and still operates. Of course, the reason we were here was also a bit more modern. Doxpop was giving a presentation on our e-filing solution for attorneys to a group of attorneys and their staff at the Harrison County Courthouse on the North end of the lawn. And finally... no travelogue would be complete without a restaurant recommendation. Although we didn't have time to eat there this time, a stroll one block further South will bring you to the Point Blank Brewery, which has great pizza (and presumably, beer.) 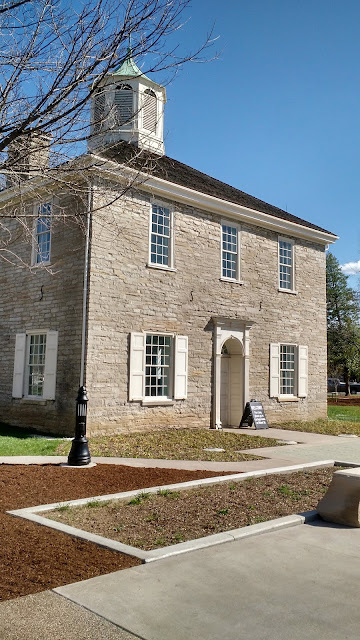 If you decide to spend an afternoon in Corydon, you can easily walk to all of these places, and walking is the appropriate way to soak in history.